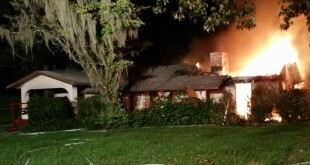 Twenty-four Marion County Fire Rescue firefighters arrived at 2315 SE 175th Terrace Road to find 50 percent of the home in flames. 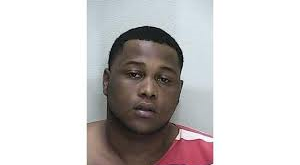 Marion County Sheriff's officers arrested and charged Laquan Barrow, 24, with second degree murder in connection with the slaying of 19-year-old Benetria Robinson at an Ocala nightclub. He is also charged with attempted second degree in the injuring of five other people during the Sept. 13 shooting. 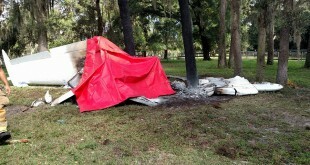 Two people are dead after a single-engine aircraft crashed in Weirsdale, Fla. today. Marion County officials conducted early investigations before handing over to the FAA and NTSB. The Marion County Sheriff's Office is reinstating the department’s Terror Intelligence and Counterterrorism Unit to prevent domestic and international terrorist threats. 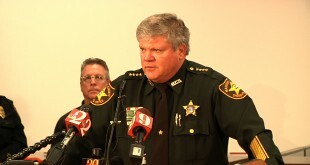 According to Sheriff Chris Blair, "nearly 300 terrorist threats since 9/11." The Marion County Sheriff's Office launched a program to educate the community about life in jail. A mobile jail cell called the "jail on wheels" shows the typical specifications of a jail cell and is housed in a standard utility trailer. A Marion County man was arrested Monday after he beat a 72-year-old man. Authorities said James Kane attacked the victim after he denied Kane permission to marry his girlfriend. Two men were killed in a plane crash while filming a low-budget zombie movie on Sunday. They were filming a scene in the air for the movie when the engine stalled. The Florida Civil Rights Association is requesting a federal investigation of multiple agencies due to perceived discrimination against minority business owners in Marion County. A 21-year-old Ocala man has been arrested in connection with the arson investigation in fall 2013 of law enforcement official's personal and service vehicles. Marion County Sheriff's Office joins in on the efforts of helping local food pantries.